Between 1623 and 1625, a privateer fleet occupied one of Britain’s offshore islands, using it as a base to raid the English Channel and ports in the Netherlands, Denmark, Sweden, Norway, Ireland and even as far as Greenland. The great power they represented was originally an obscure Siberian forest people from the Far East, but by the time part of its navy occupied Lundy Island in 1623, it controlled most of the Mediterranean, raided the North Atlantic, established bases in the Indian Ocean as far as India and the East Indies, and ruled an empire that controlled up to 25 percent of mainland Europe. Even in its dying days, this power was able to inflict crushing defeats upon the greatest imperial power in the world at Gallipoli and Kut al-Amara. These ‘obscure Siberian forest people’ were, of course, the Turks. It has become conventional—or at least convenient—to think of the Turkish capture of Constantinople in 1453 as an Asiatic conquest. This is only partly true. The Turks originated in Asia it is true, but Constantinople was conquered from the west not the east: the Ottomans became a European power before they became a Middle Eastern one and remained a primarily European power. Indeed, not only did they conquer Constantinople from Europe, but the Middle East and even most of Anatolia itself was conquered from Europe. 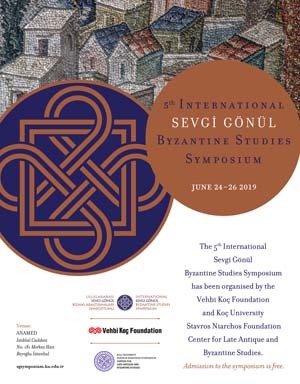 We conventionally regard the Ottoman Empire as the last of the great empires of the Near and Middle East: the successor of the Seljuk Empire and the empires of the ‘Abbasids and Umayyads, and ultimately of the Persian Empire of antiquity. Again, this is only partially true. In a sense, the Ottoman conquest of the Near East and its subsequent eastern empire was as much a European conquest as the Roman Empire in the east had been. True, the Ottomans at least practised a Near Eastern religion. But so too, in the end, did the Romans. The direction from which the Turks arrived at the gates of Constantinople in 1453 might seem a minor matter of detail. But it does demonstrate that it was no sudden rush of semi-civilised horse-riding nomads from the steppe, but the culmination of complex movements of various Turkish peoples that had been taking place throughout Eurasia for over a thousand years by the time the Ottomans captured it under Mehmet the Conqueror on 29 May of that year. Movements that had seen Turkish dynasties establish glittering monuments and cities throughout Asia, from gigantic Buddhist statues at Datong in China and Bamiyan in Afghanistan to some of the most fabulous Muslim buildings in the world at Agra, Samarqand, Isfahan and Cairo. And when Turks first entered Anatolia in the 11th century, it was a Byzantine Emperor who made a relatively minor Turkish prince the first Sultan in the land that would come to be known as Turkey—a prince, furthermore, who called himself not Sultan of Turkey, but Sultan of Rome!